Looking for an entertaining lively speaker? 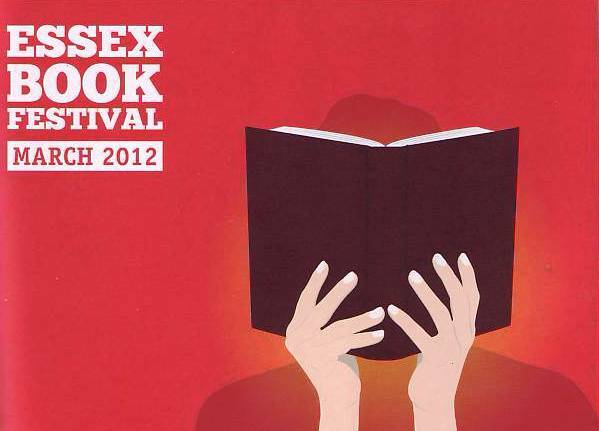 It’s that time of year again – the run up to the annual Essex Book Festival; a month and a bit chock full of book related events featuring authors from all over the country at numerous venues in and around the county. I’ve been to a number of events over the years, last year I went to see Sara Paretsky, and David Baddiel – both excellent – but this year will be especially interesting because at one event, on Tuesday the 13th March, I won’t be amongst the audience – I’ll be the one at the front! Yes, you heard it here first, I’m one of the authors in this years festival talking about How To Do Everything and Be Happy. What better way to celebrate over 7,500 sales? I’ll be honest with you, this feels a little weird. I’m still shocked when someone emails me to tell me they’ve read the book, or when I discover another review on amazon. A part of me is utterly convinced that the only people at Debden Libray on the 13th of March will be me, the head librarian, and some poor soul who’s been coerced into doing the refreshments. This being the case I’d like to extend a warm and very genuine (some might say slightly desperate) invitation to come along – it really would be absolutely lovely to see you. And your friend(s). Don’t do it for me, do it for the tea lady. The way these things normally work is the author chats for a bit, then answers questions. This being the case let me just say that I’d be happy to answer anything – whether that be about the ideas in the book, writing & publishing, or my love of flapjacks. If you’ve read the book bring it along and I’ll scribble in the front for you. If you haven’t read the book, come anyway, there’ll be copies to buy on the night and did I mention there would be refreshments? Bookings can be made through the Mercury Theatre Box Office on 01206 573948 which is open Monday to Saturday 10am -8pm. There are no booking charges made by the Mercury although there will be a charge for postage of £1 unless tickets are collected from the Mercury Theatre. Please advise the Box Office if you have any access requirements when making a booking. Visitors with a disability are offered a free ticket for a companion. If you require a BLS interpreter, please advise the Box Office. Refunds – The Festival cannot refund money or exchange tickets except if an event is cancelled, in which case return your tickets to the Box Office within 30 days for a full refund. If you have a query about access or a general enquiry about the event please email hello@essexbookfestival.org.uk or ring 01245 347456.